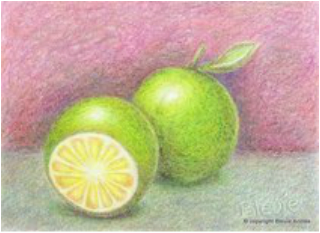 I am a self-taught artist and my works are mere reflections of my journey as I explore the wonderful world of Colored Pencils. OCTOBER 2010, I don't know what came over me, I haven't drawn anything for decades and all of a sudden, there's this irrepressible urge that sent me searching the house for something suitable to draw with. A box of crayon would've been fine; instead, I found a set of Colored Pencils. A rusty drawing hand and an unfamiliar medium are all that I have to begin with, but by the time I've finished my first piece—I was hooked, and so began my love affair with Colored Pencils. I said to myself, "Probably, the best way for me to LEARN colored pencil—is to start DRAWING with colored pencils." My first serious attempt with colored pencils helped me to understand the unique properties of the medium along with the basic techniques that can be used to achieve the desired effects. In a nutshell, I've gained knowledge by reading articles and joining art forums, acquired understanding through experience, and achieved growth by searching for new and better ways of doing things with each succeeding work. 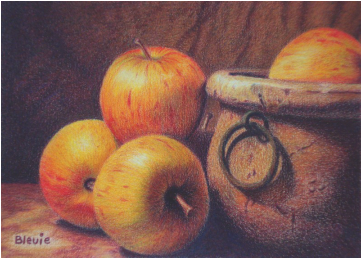 My journey in the world of colored pencils led me to new horizons, exploring different materials, and developing techniques which gave my creations a distinctive mark. 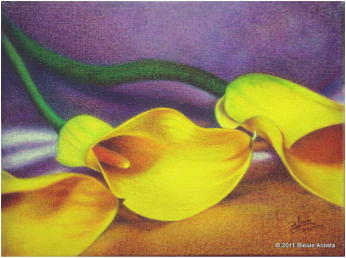 My colored pencil work on canvas possess a distinct character with its unique texture and rich vibrant colors. Some of my artworks have been featured in Ann Kullberg's CP magazine and also in her CP Treasures Volume II, Colored Pencil Masterworks From Around the Globe. On July 2014, I became the Acquisition's Editor for Ann Kullberg's CP magazine. The journey has only just begun and there’s a whole new world for me to discover. "Goodbye," said the fox. "And now here is my secret, a very simple secret: It is only with the heart that one can see rightly; what is essential is invisible to the eye." "What is essential is invisible to the eye," the little prince repeated, so that he would be sure to remember. "It is the time you have wasted for your rose that makes your rose so important." "It is the time I have wasted for my rose--" said the little prince, so that he would be sure to remember. "Men have forgotten this truth," said the fox. "But you must not forget it. You become responsible, forever, for what you have tamed. You are responsible for your rose . . ."
"I am responsible for my rose," the little prince repeated, so that he would be sure to remember. "Good artists exist simply in what they make, and consequently are perfectly uninterested in what they are"